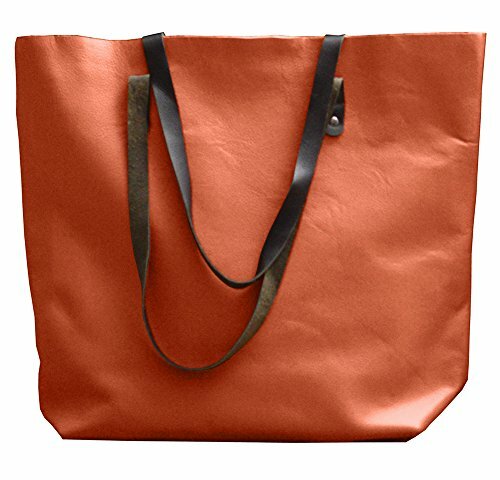 Tan Women Leather Tote Bag, Made with One Single Uncut piece of leather skin. Its a go-anywhere bag. Made with quality full grain cowhide leather, 1.2mm - 1.4mm thick. Carry handles are made of belt grade cowhide leather. Incredibly soft and supple and fairly lightweight but nonetheless, durable. It will continue to develop beautiful patina with use, adding to its beauty. Carry everything you need in this everyday tote. This leather tote has two pockets inside at both ends. This makes it easy for you to keep your mobile, keys, wallet, earphones, makeup or any thing small and which needs quick access. Fits almost anything, use it for everyday commute, school, work etc. If you have any questions about this product by Xport Designs, contact us by completing and submitting the form below. If you are looking for a specif part number, please include it with your message.